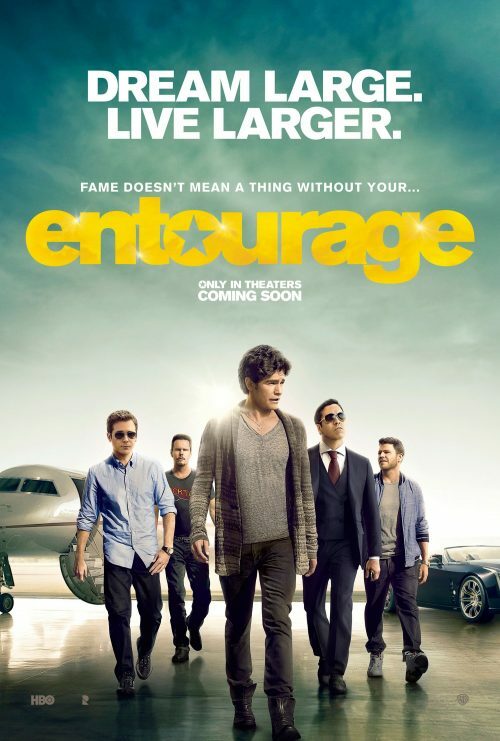 Entourage starts where the original series finished. Well, six months after the end. The other thing that we’ve been sent is the poster. It’s nothing inspirational, more workmanlike, poster that does the job of telling you what’s the film is called and who’s in it. Movie star Vincent Chase, together with his boys, Eric, Turtle and Johnny, are back… and back in business with super agent-turned-studio head Ari Gold. Some of their ambitions have changed, but the bond between them remains strong as they navigate the capricious and often cutthroat world of Hollywood.